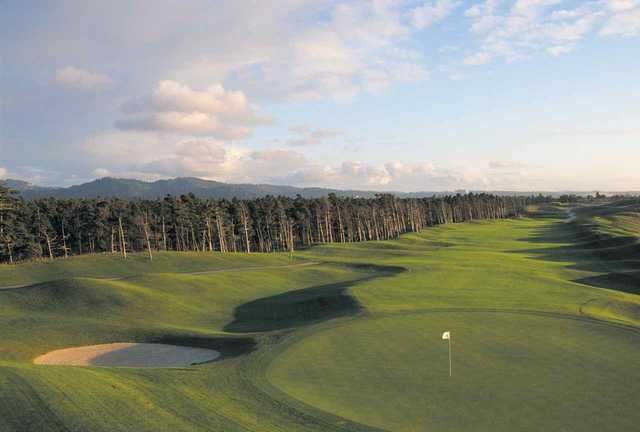 Designed by Rees Jones and Greg Muirhead, this award winning design provides wooded holes, evoking comparisons to Pinhurst, links holes reminiscent of the Monterey peninsula, to "the crescendo" (#16,17,18) played around the great central lake. 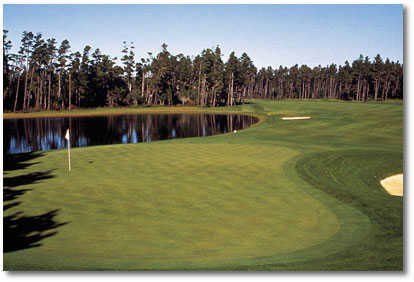 With new ownership, the course is being maintained in excellent condition. 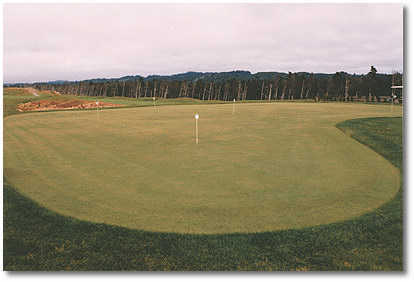 The mild Spring weather made playing this course very enjoyable as did the pleasant employees. 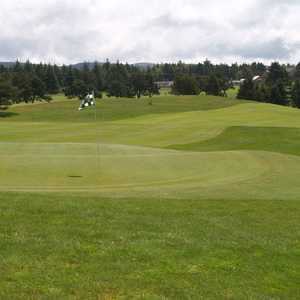 Lovely course, well kept and maintained, nice people and good service, fairways and greens excellent. The course has plenty of fairway space, plays long and in the wind even longer, particularly mid to late day in the summer. Price was excellent for the quality of the course. 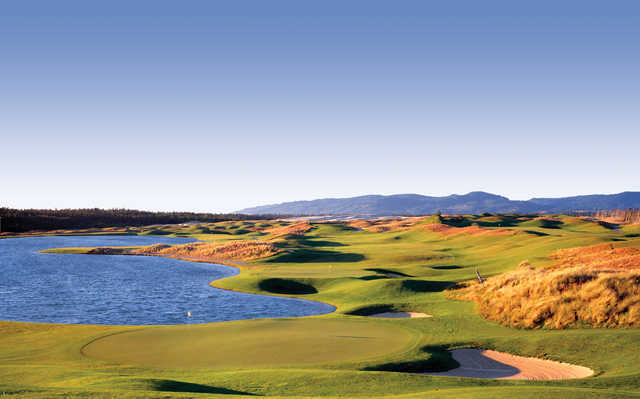 It is worthy of a destination golf vacation. Played twice in evening last two weeks . The wind was blowing hard but a great experience , course is in great condition and is a very interest ing pitch with each hole uniquely different than the last. I'll be back. Great values. Use to play alot with a few buddys when it first open and it was great. lately though it has went way down hill too steep of prices for the quality. fairways look horrible and greens arent near what they were. all in all not the right bang for you buck. 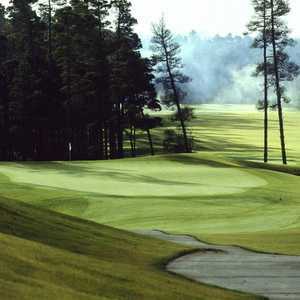 Well-designed holes that include forest and open link features. 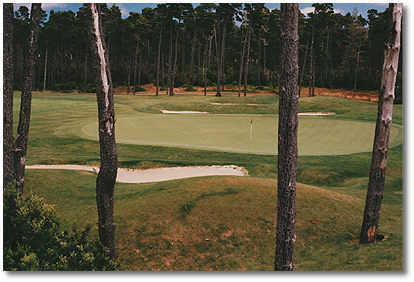 The placement of the 5 different tees allows you to play a fun, forgiving course to a long, extremely difficult one. Every hole is postcard-picturesque. 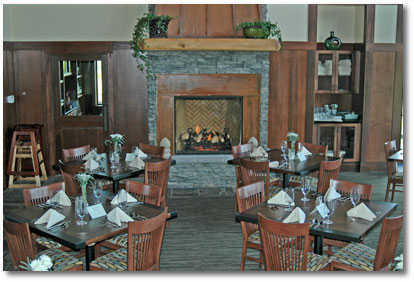 Great food at the 19th hole (Tavolo). 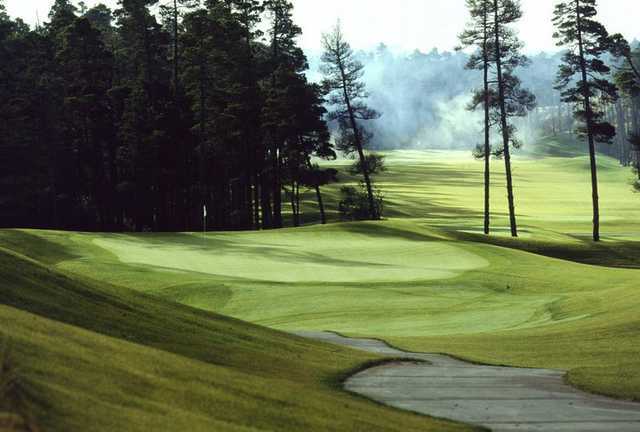 This is a GREAT golf course. 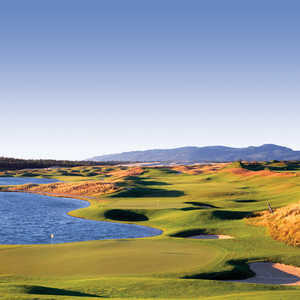 Designed by one of the foremost golf architects in the US. Come over from central Oregon every year for the last 4 years and play it 4 times a year. Huge challenge when the wind is blowing. Can blow a steady 35 mph and gust to 40. A 380 yd par 4 can be a 500 yd par 4 into the wind. Believe me, I'm NOT kidding. I played last year 2 days where it was 70 degrees and a 5 mph wind. I shot 75/72. Best 2 rounds of my life back to back. Some of the most fun you'll ever have. When it's windy, pretend you're in Scotland. Easy to do as it's a links style course. We buy the 4 pack and get it at $49/round plus cart. We're going back this year of course. Just check the weather reports ahead if you're the timid type. Nice sandwiches, etc in the bar. We always have a lunch there. This is an excellent maintained course. Beautiful setting. It always plays a little different depending on the wind. Lots of fun! Have been coming to Sandpines for 5 years with a group of 20 -24. Weather conditions were bad enough to declare the course unplayable this trip. Staff basically said course is playable and if you don't play no rainchecks issued. Force to quit after 9 holes on Sunday, no rain checks and forgot to arrange a Sat. dinner for our group. The tee prize round of golf had cart removed this year for the 1st time without sharing that information. Group coordinator not there. Overall customer service for the event was poor. 1 person on staff to serve entire bar and lunch, great attitude but totally understaffed. 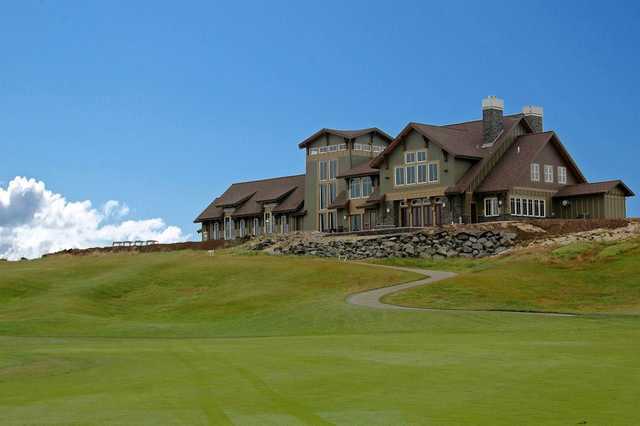 Have played Sandpines every summer for the last 3 years on our annual golf trip to Oregon with my son and we love it. 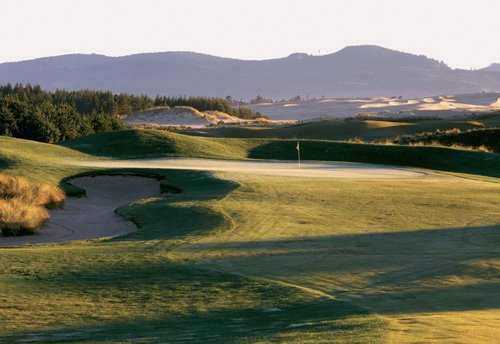 We play Bandon, Pumpkin Ridge, The Reserve Vineyard, Salishan and Sandpines. They are all great and all things considered Sandpines might be our favorite. Great course, very challenging. Excellent value.